Great quality Pink Opal from the Andes Mountain in Peru - and because of this they are sometimes called Peruvian Pink Opal. Pink Opal forms as thin sheets amongst the host rock and there are often inclusions of black, cream, white and gold coloured minerals that form along with it. 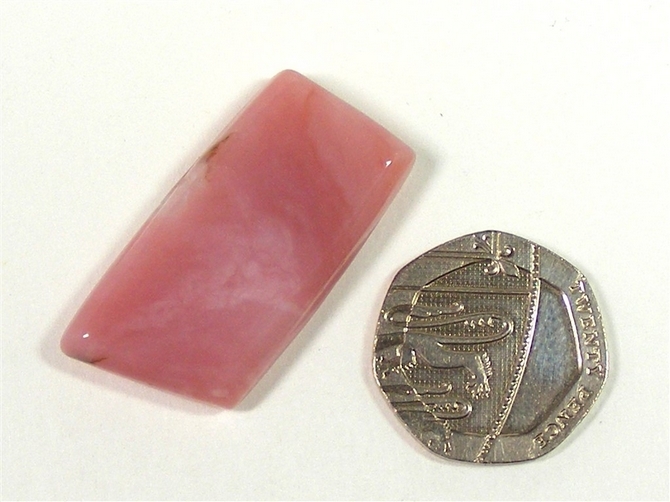 This lovely slice of Pink Opal, which has been polished all over, teaches us about love and non-violence. Because it comes from the Andes Mountains in Peru, Pink Opal is also often called Andean Opal or Peruvian Opal. It is believed to be good for heart, lung and spleen problems. It is also soothing on the skin and is thought to be helpful in treating diabetes and hypoglycaemia. It may also be useful to those people who suffer from stress and worry that something may be wrong with their own heart even though they have not had any diagnosis from their own doctor yet. 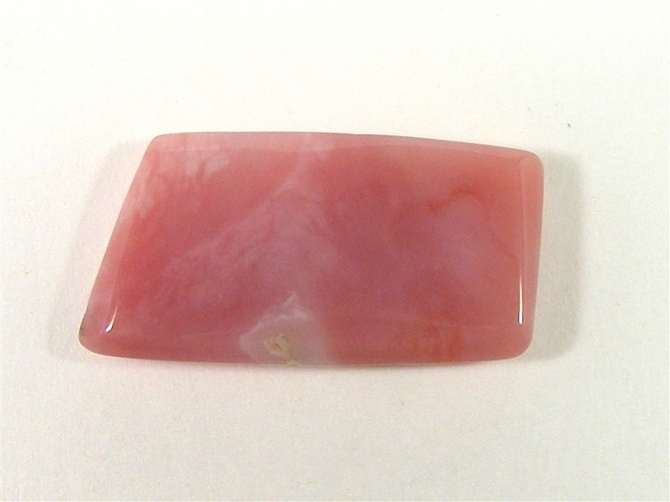 Pink Opal promotes an easy, uninhibited manner in us and gives us a feeling of lightness in our lives. It helps us to forget our worries and to express ourselves more openly. It can free us from feelings of shyness, shame and inhibition. It encourages feelings of warmth and generosity towards our fellow human beings and helps us with the enjoyment of sexuality. Pink Opal teaches us love and non-violence. It is a very useful stone for providing us with deeper insights into psychological issues. It can release old patterns of behaviour and can help us to generate new ideas and concepts. Pink Opal can encourage commitment to idealised communities and their way of life. It helps us to act in a much more unselfish way. It is also a stone of spiritual awakening and can assist us in entering and then maintaining the meditative state, furthering our connection to other planes and to other existences.